Product prices and availability are accurate as of 2019-04-16 16:55:00 UTC and are subject to change. Any price and availability information displayed on http://www.amazon.co.uk/ at the time of purchase will apply to the purchase of this product. 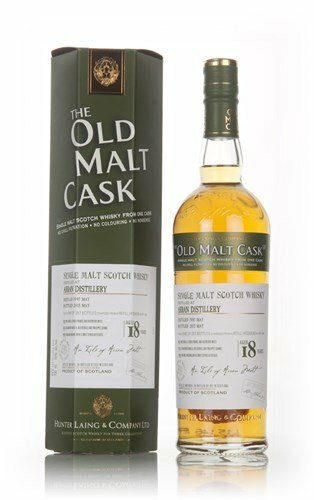 The Single Malt Whiskey Store are proud to present the excellent Arran 18 Year Old 1997 - Old Malt Cask Single Malt Whisky. With so many on offer recently, it is great to have a brand you can recognise. The Arran 18 Year Old 1997 - Old Malt Cask Single Malt Whisky is certainly that and will be a perfect buy. 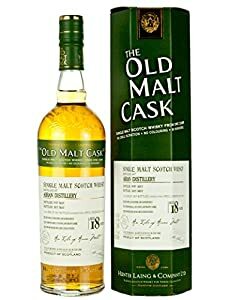 For this price, the Arran 18 Year Old 1997 - Old Malt Cask Single Malt Whisky is highly recommended and is a regular choice with lots of people. Arran have added some excellent touches and this results in good value. "70cl / 50.0% - A Hunter Laing bottling of 18 year old single malt from the Arran distillery, located on the eponymous Scottish island. 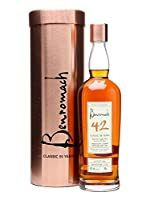 This was distilled in 1997 and bottled in May 2015 for the long-running Old Malt Cask range, producing 257 bottles."